This hilltop 56.9 ac. m/l farm offers tons of road frontage and lots of possibilities. Currently used as a horse and cattle farm. Property has several nice buildings plus a 3 bedroom, 1 bath home that was built in 1974 by the seller. Property also has the original 1806 home on the property that was constructed in our pioneer days and is in great condition. The 3 bedroom, 1 bath home is a tri-level design with living, dining, and kitchen on the main level, 3 bedrooms and a full bath upstairs, and family room and laundry room on the lower level. 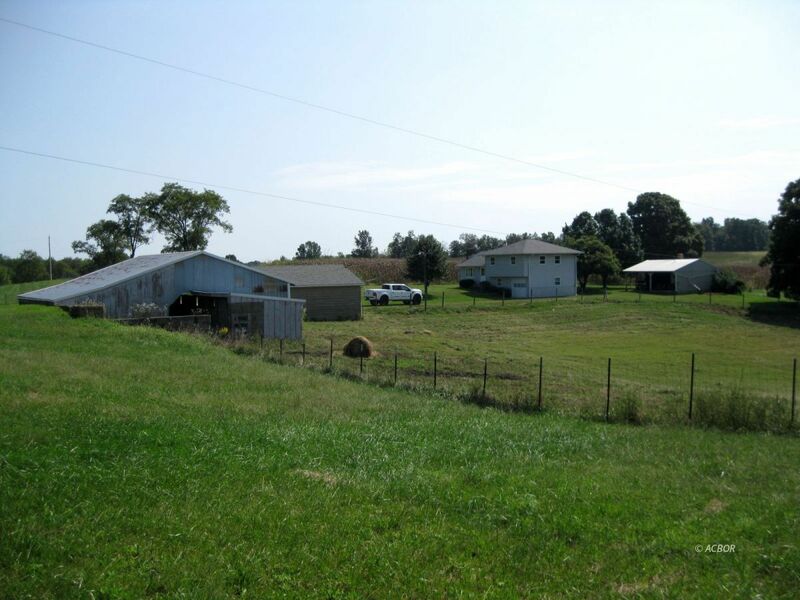 Property has several fenced areas and easy access to the whole farm.